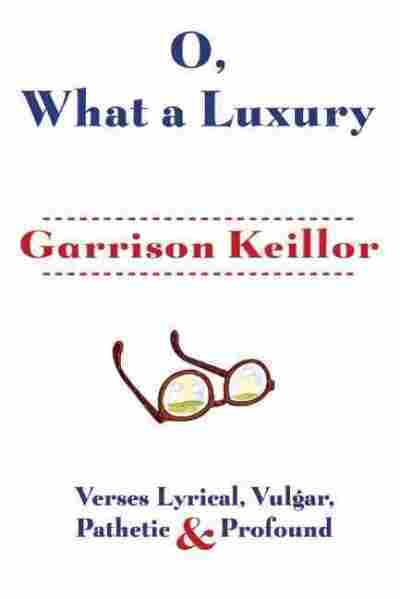 News From Lake Wobegon: Garrison Keillor Has A New Book Of Poetry The host of A Prairie Home Companion and The Writer's Almanac has published his first poetry collection called O, What a Luxury: Verses Lyrical, Vulgar, Pathetic and Profound. 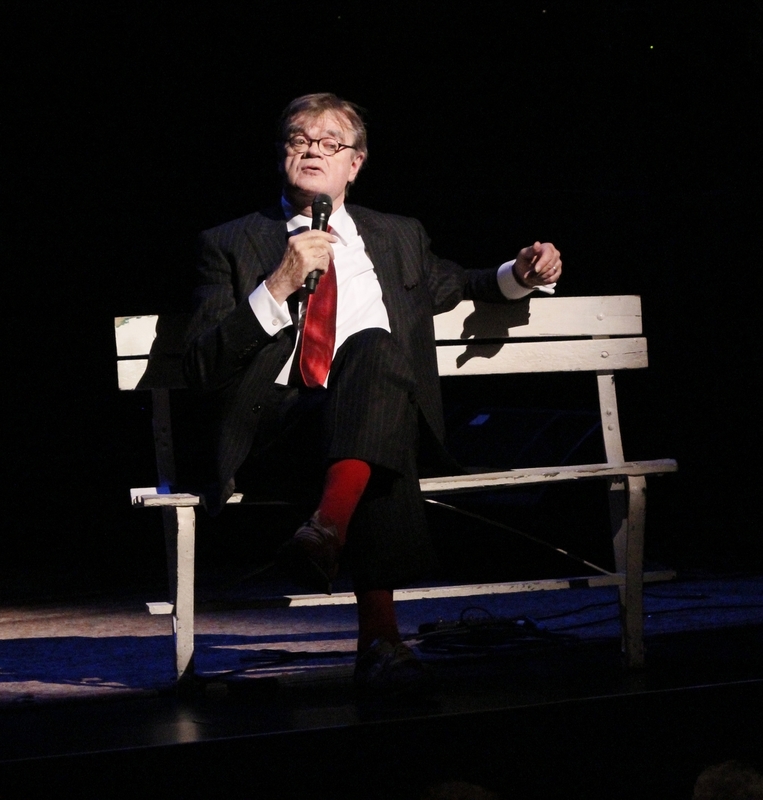 "I love rhymes," Keillor says. "I love to write a poem about New York and rhyme 'oysters' with 'The Cloisters.' 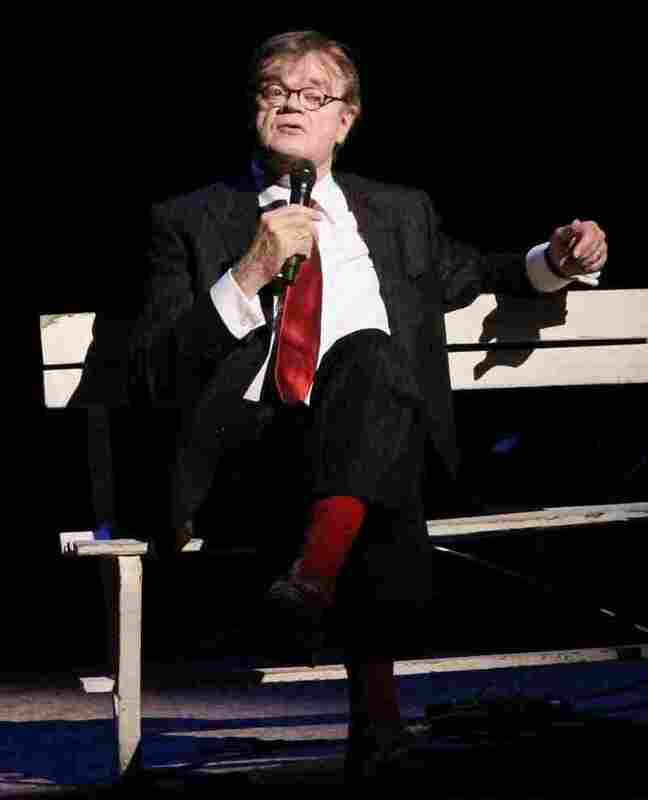 "
Garrison Keillor has been the host of A Prairie Home Companion since it began nearly four decades ago. He was inducted into the Radio Hall of Fame in 1994. If you're a regular public radio listener, you may hear Garrison Keillor every morning reading other people's poems on The Writer's Almanac. Now, the Prairie Home Companion host has decided to share some of his own poems for a change. In his new collection — O, What a Luxury: Verses Lyrical, Vulgar, Pathetic and Profound — he muses on subjects including Kansas, California, marriage, parenthood, mice, manners, Hennepin Avenue and Times Square. He joins NPR's Scott Simon to discuss rhymes, retirement and the news from Lake Wobegon. I love rhymes, I love to write a poem about New York and rhyme "oysters" with "The Cloisters." And "The lady from Knoxville who bought her brassieres by the boxful." I just feel a sort of small triumph. I hear a little firecracker go off when you come up with a good rhyme. One of the reasons to write in meter and rhyme [is] because it's so much easier to remember [rhyming verse] ... than to recall more than just the first few lines of Allen Ginsberg's "Howl" or the beginning of [T.S. Eliot's "The Love Song Of] J. Alfred Prufrock" which we were all forced at gunpoint to read and to study and to write ridiculous papers about in 11th grade English. T.S. Eliot put more young people off poetry than anybody else. He has a lot to answer for. ... He wrote "The Waste Land" because he was in an unhappy marriage — and we can all understand that — but why inflict it on the rest of us? It's a very real place that's made up of ghosts — people who died a long time ago. I am so regretful that I did not find out more about them while they were still around. I was young, I was cool, you know, and so it was a little bit beyond me to sit down with elderly people in their 50s and ask about the Depression and so forth. And now I'm trying to find out about them through fiction and by putting them in this town. Because I haven't lived in a small town in many, many, many, many years — more than 40 years — and it wasn't all that happy for me living there. But I remember very happy times on my grandmother's farm and so I sort of merged that into the present. Nostalgic it isn't, exactly because I'm trying to discover the inner life of people who I knew as a child and who, as people did then, kept all the dark secrets away from children. And I'm trying to find out more about them. Well, someday, of course. But we're planning A Prairie Home Companion through the 2014-15 season, and I dare say that may be farther ahead than a lot of people in public radio are planning their careers. Don't waste my time and I won't waste yours. You are the woman I love, of course. I'm crazy about you and always have been. And don't make me say it again. A man of monumental brevity. on a bench seat, no gearshift in the middle. Then who would ever fall in love? An excerpt from the "Address to the Harvard Chapter of Phi Beta Kappa, Sanders Theatre, June 2008"
It is time for you to think about the benefits of failya. Failure is essential, a form of mortality. Without failure, we have a poor sense of reality. But today's grievous mistake is tomorrow's humorous story. Of notes from the classes you never missed.